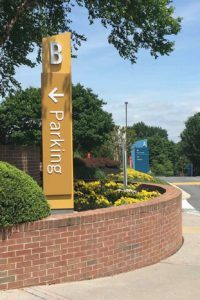 AGS partnered with ex;it, a Philadelphia based EGD Firm, to evaluate current conditions, make recommendations, offer improvements to the visitor experience, and enhance the interior, exterior and parking garage sign programs. 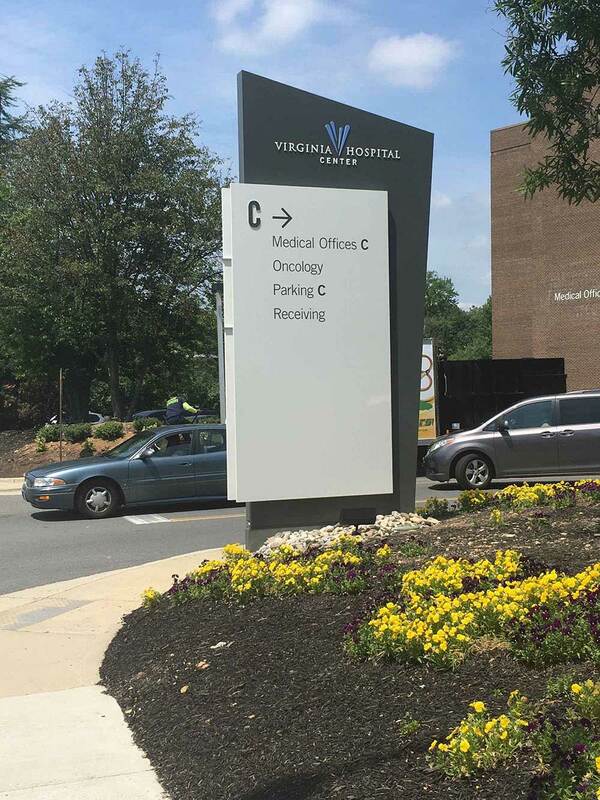 AGS worked closely with VHC to conduct an Experience Assessment and develop a new campus Wayfinding Master Plan. 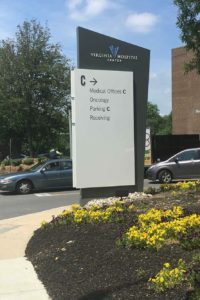 Together all parties agreed upon a Zone Methodology, dividing the campus into buildings with corresponding parking garage, entrance, lobby and elevators. 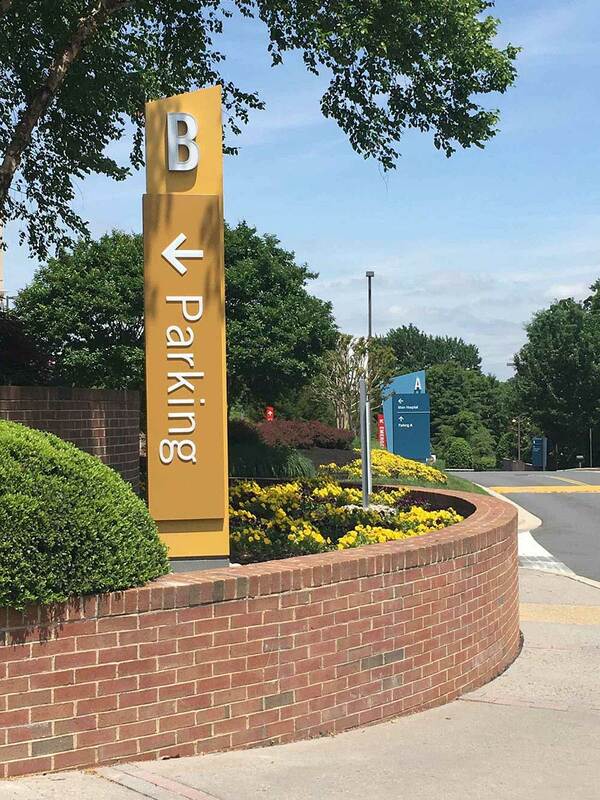 AGS has recently completed the installation of the exterior sign program, the main path of travel for the interior and is currently finishing the installation of the parking garage sign program of the project. 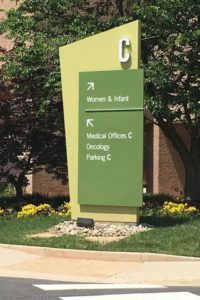 In addition to the implementation of the sign programs, AGS provided their hospital staff with training modules to ensure that the new wayfinding sign program would be properly communicated throughout the staff. In addition, wayfinding support tools were developed for the staff. 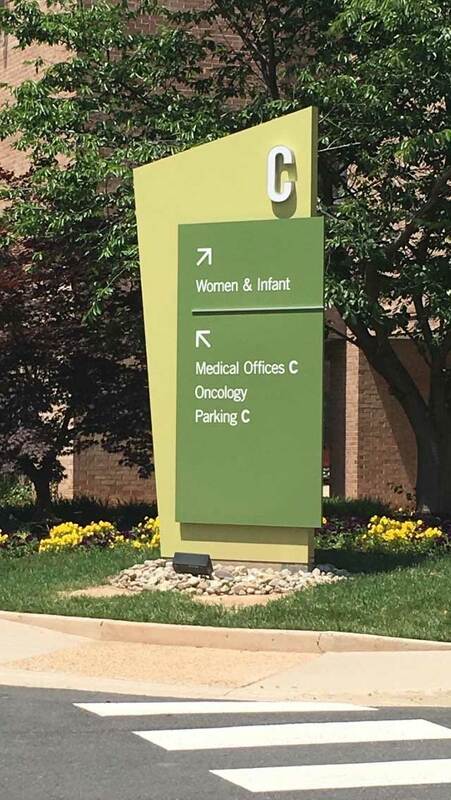 Below are a few of the exterior signs that have been installed. Contact AGS for a consultation on your next project.